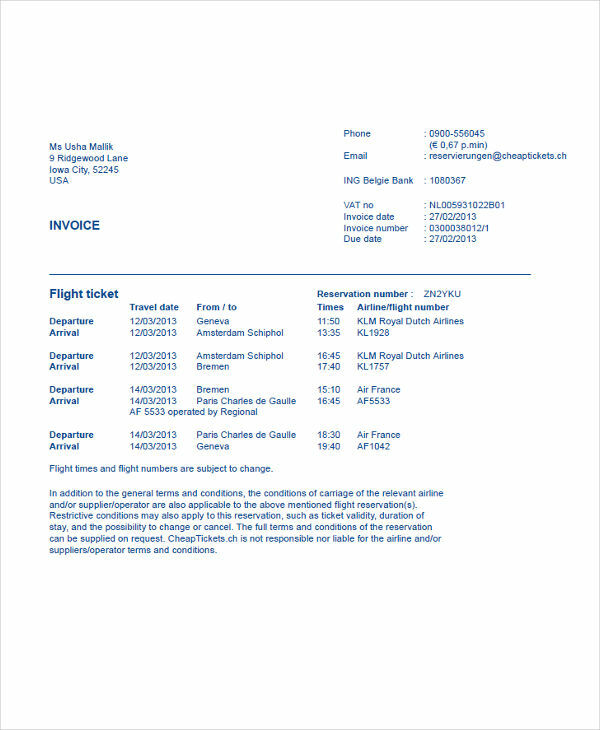 A travel invoice is an important document in any travel service company. It functions similar to a commercial invoice. 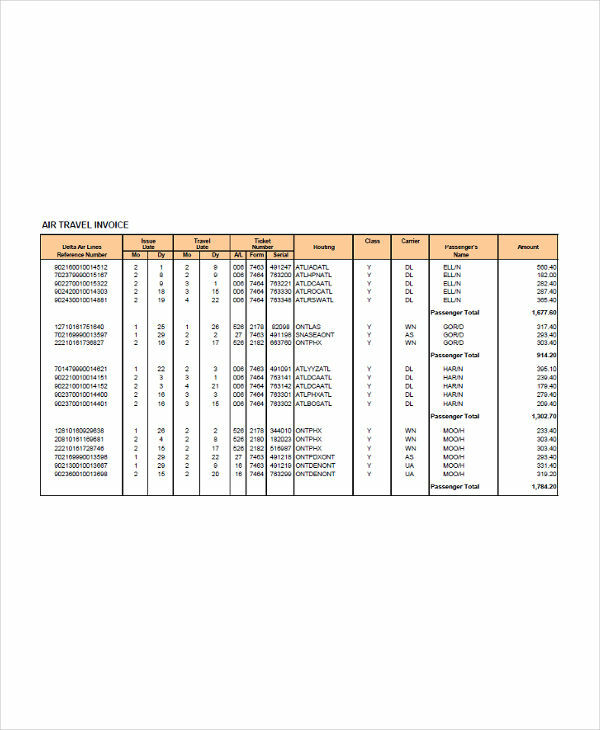 While a commercial import invoice acts a bill of sale between a buyer and a seller, the travel invoice acts as a proof that a customer bought some service provided by the travel agency. 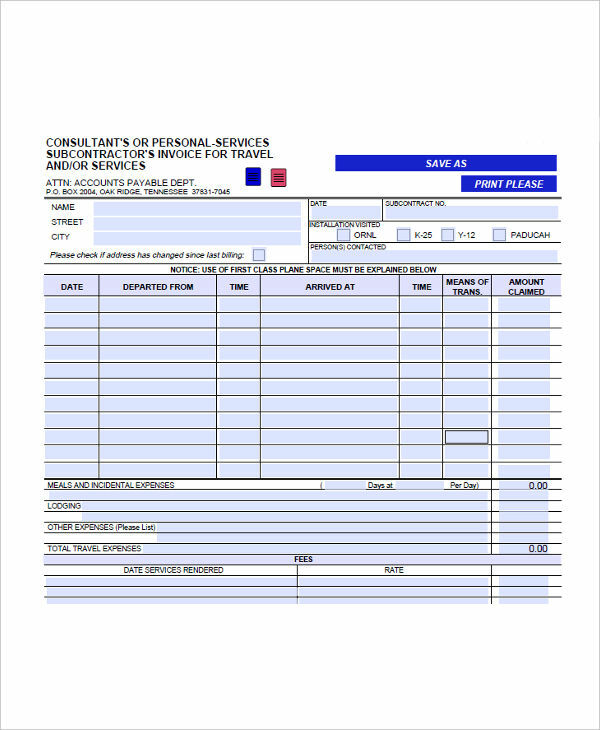 A travel invoice is usually a non-trade invoice (i.e., it is not considered part of the regular services), since some travel invoices take a longer period of time before they are paid. This is normally because of some discrepancies caused by a lack of formal analysis. 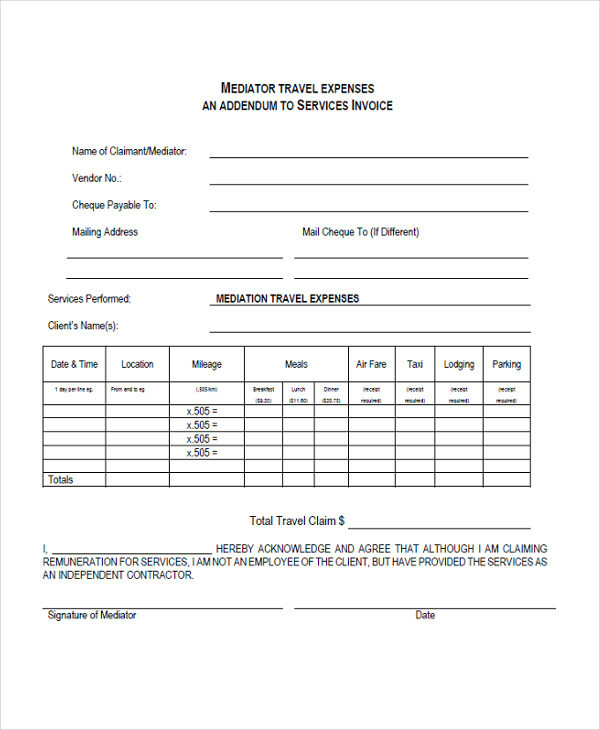 Use these free travel invoice templates to avoid the hassle of incomplete information. 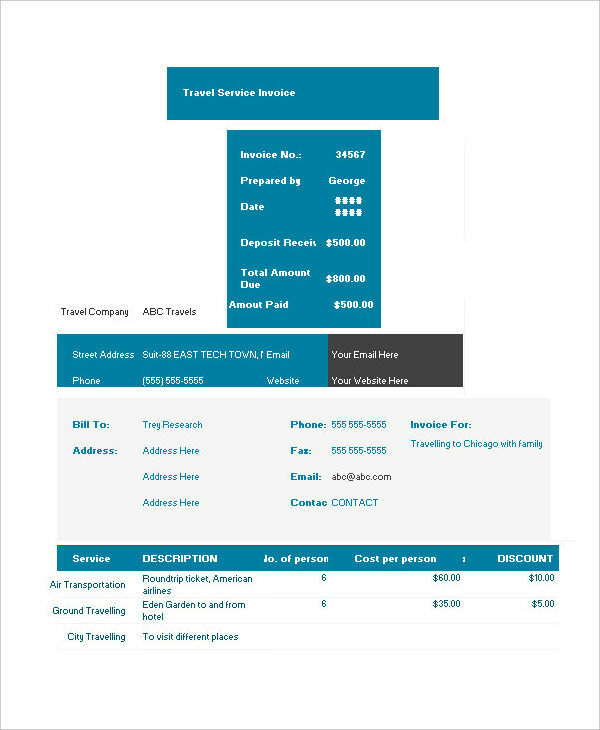 Like any invoice, a travel invoice is a commercial invoice document that lists all the travel services and their due payments, as provided and arranged by the travel service provider or company. It also tells when the payments are due. the number of travelers availing of the service. 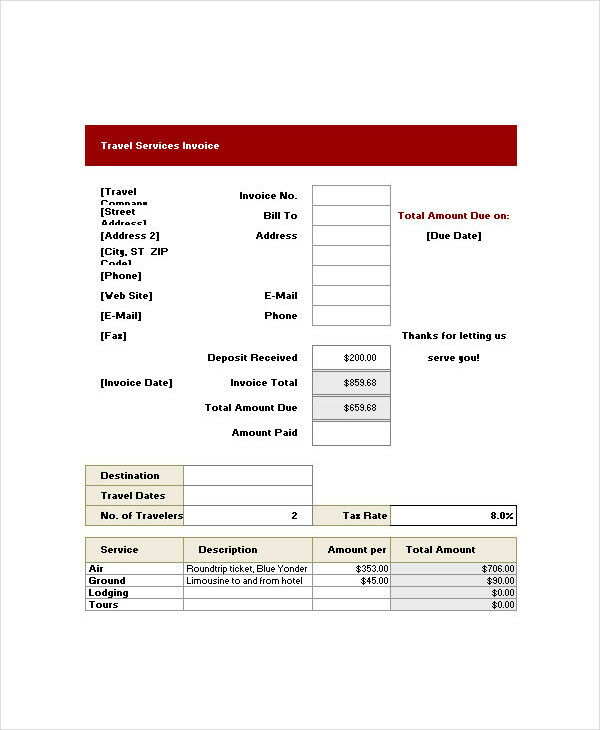 Travel invoices are important to both travelers and the travel agency, helping them keep a record of the booking. 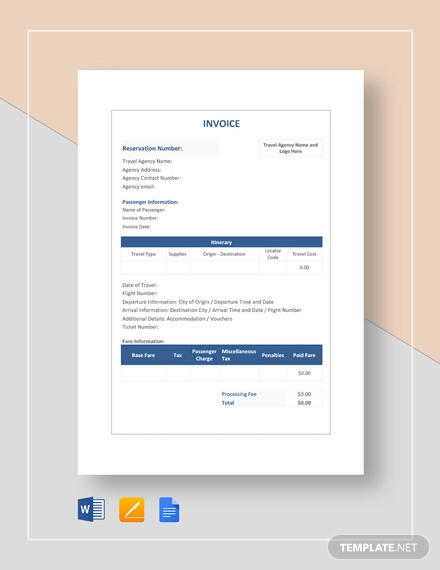 While we have provided ready-to-download travel and sales invoice example templates, if you want to make your own travel invoice you can do so by following these steps. Start by including your travel agency name, contact details, and address at the top of a plain document. Follow up with your company logo along with the agency name. Write the details of the recipient and the payment method. 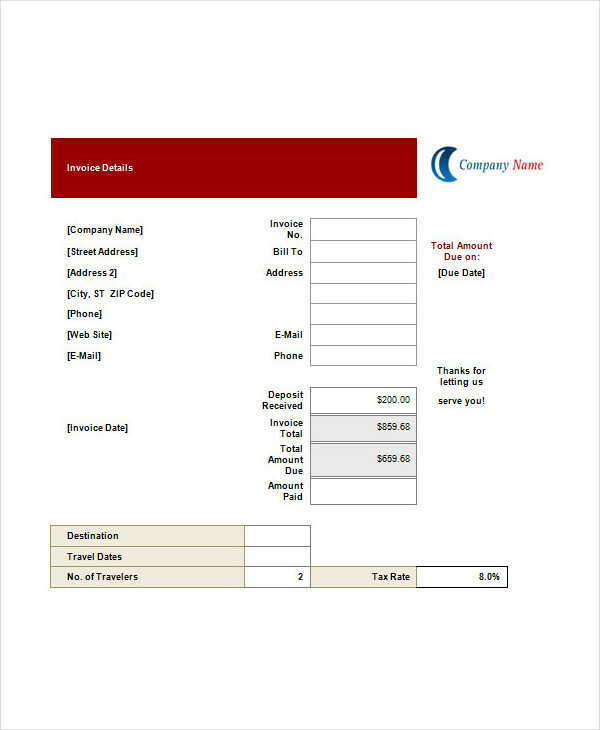 Provide the invoice number and other invoice information as listed above. Make a table to itemize the services provided and their corresponding prices. Finally, give the grand total of all the expenses. Why Do We Need a Travel Invoice? Break down all travel expenses. Act as proof of completed payments. Act as documentary evidence in the case of discrepancies in travel costs. Determine if customers have already paid or not. Keep a record of the booking. 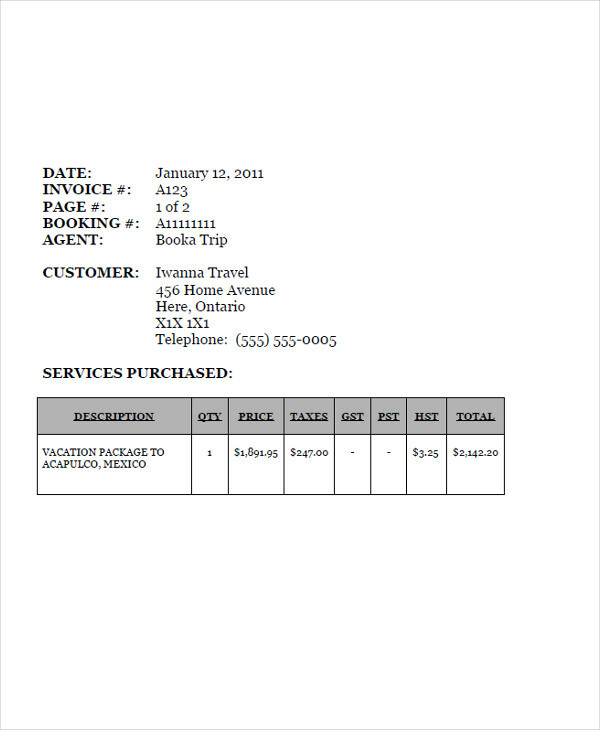 If you own a travel agency, be sure to download our invoice examples in Word, pdf, and xls. Provide your agency’s full information. This includes your agency’s name, address, and contact details. Include the customer’s full information, including the customer’s full name, address, and contact details. Generate a unique invoice number. This is important for accounting purposes and helps you find the correct document. Also be sure to check out our business invoice examples if you’re running any service for profit.